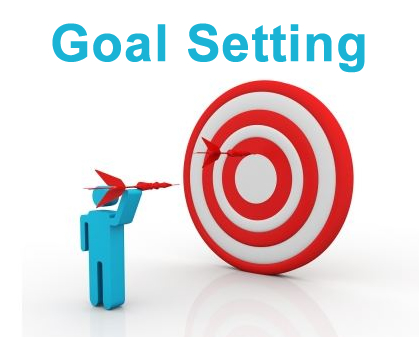 Aligning Goals: Goals setting tips for job seekers. During the interview process hiring managers will ask you what your goals are, to make sure that you are a good fit for the organisation. Whether you are applying to be the office helper, cleaner, a brand promoter, manager, you name it. That question will always (and should) come up in one form or another. Thus, it is not only important to have your personal goals set but your career goals set as well. We have said this before and we will say it again. When you get invited for an interview, it is not to pass the time by, okay. We can speak for ourselves and other organisations out there when we say there is an end goal in mind and that is to provide our applicants a chance to grow, whilst contributing to our growth as well. Hence why we offer mentorship to all our employees but that means nothing if you as an individual are not clear about what you want, why you want it and where you want to go with it. We all should be striving to achieve something that we cherish and therefore is of extreme importance to us. Therefore, the idea of setting long-term goals and breaking them down into manageable parts (short-term goals) is extremely important. To assist you in setting your goals we recommend that you adapt the S.M.A.R.T goal setting process. Which advises that each goal needs to be Specific, Manageable, Assignable, Realistic and Time related. Here are a few tips to get you started on your goal setting process. Create at least 3 long-term goals. These are the goals that you will accomplish over the next, let’s say 5 years or so. You need to give yourself a time frame, a target to aim for. This allows you to hold yourself accountable for your actions. These goals are not separate from your long-term goals. These are the goals which will help you accomplish your 3 long-term goals. How it works is, you look at your long-term goals and ask yourself, what are the daily or weekly steps that I am going to need to take to achieve these goals? Whatever those steps are, those are your short-term goals. Awesome, right? Doing something everyday is going to become boring after a while and demotivating. When this happens go back to your goals and remind yourself of the reasons why you started. This is a great way to motivate yourself back into action. Drop the reasons why you cannot do it and look for reasons why you CAN do it and believe wholeheartedly that you can do it. For us, we would rather hire someone who is clear about their goals and thus knows how they can align with our organisation. In that way you do not slack off your work. You show up where you are supposed to, when you are supposed to and do what you need to do. It is important to sit in your interview room with the full knowledge that you know why you are there and where you want to be.